A dancer, named Sally McCloskey, was photographed at Angel Peak (about 30 miles outside Las Vegas, Nevada) in 1953. 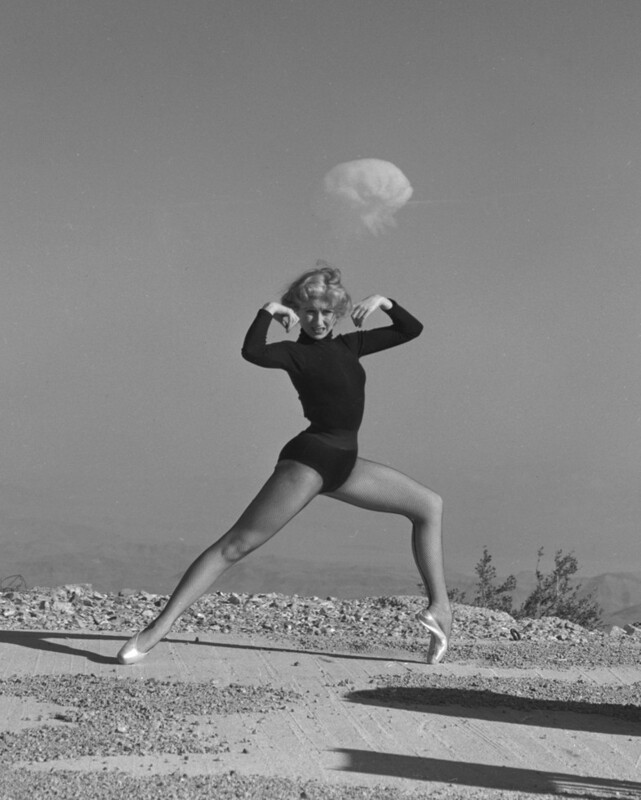 She did an interpretive dance for the photographer while, in the background, the Operation Upshot-Knothole atomic bomb test created the familiar mushroom cloud in the sky. Apparently it was not unusual to see those early above-ground atomic tests from Las Vegas. Here is a video of the atomic test that Sally McCloskey danced in front of. Also the atomic cloud here. A Things of Science unit from September, 1962 on silicones. Another one of the sort of “material sciences” units. A Things of Science unit from August, 1961 on survival food. 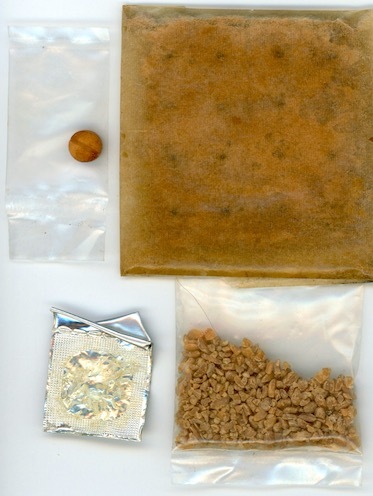 And sure enough, it contained survival food — fifty-six years old! Of course I didn’t eat it. But of course it crossed my mind. People have long attributed meaning to flowers. 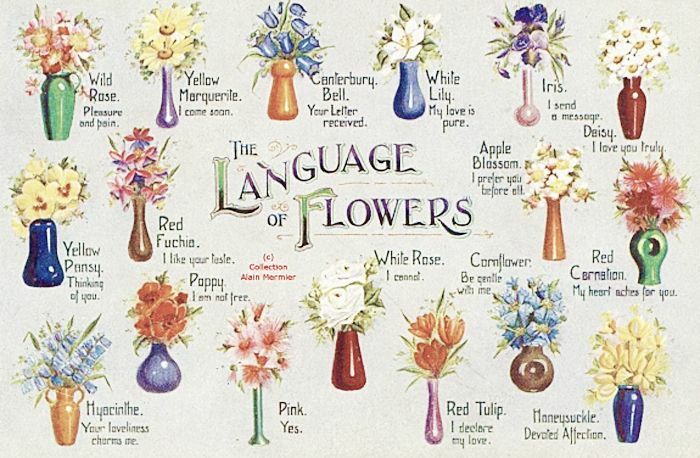 Starting in Ottoman Turkey and popular in Victorian England, the language of flowers, also called floriography, is “a means of cryptological communication through the use or arrangement of flowers.” The meaning assigned to each flower varied, but a consensus emerged for the meaning of common flowers.